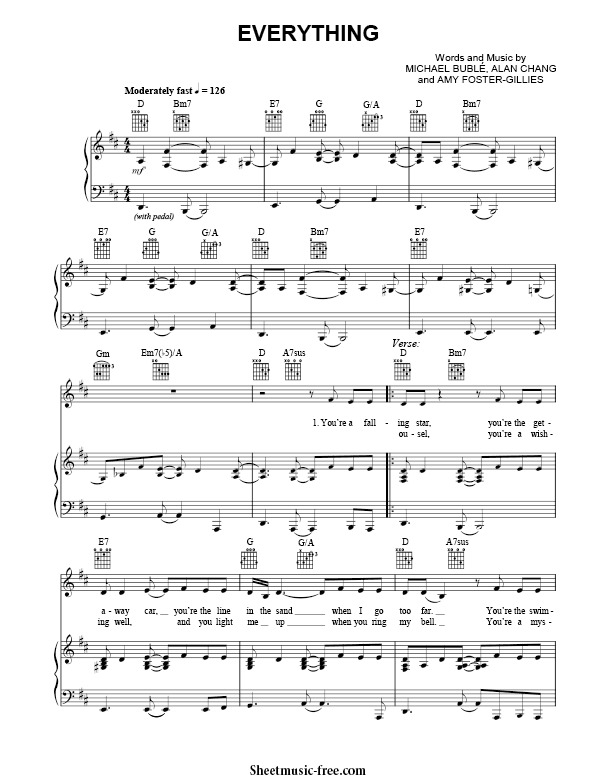 “Everything Sheet Music” by Michael Buble, “ Everything Sheet Music” for Piano / Vocal/ Guitar Chords , Original key: D Major, number of pages sheet music PDF: 6, Video and Lyrics song Everything Sheet Music. “Everything’” is a song recorded by Canadian singer Michael Bublé, and released on April 23, 2007, as the lead single from his third major-label studio album, Call Me Irresponsible. Everything Sheet Music Michael Buble.